I really need to make more dishes like this one! It was so easy, its seriously tasty and my whole family LOVED it! 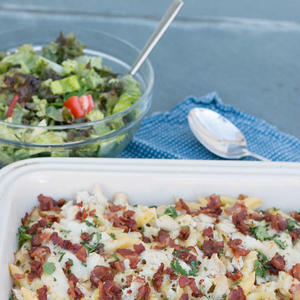 This Chicken & Bacon Penne Alfredo Casserole comes together so quickly and can be made a day or two ahead of time making it the PERFECT dinner for any night of the week.